You can add a suppression list to a new email or suppress a sent to list from an email you are working on. Use WordFly's segmentation feature to add the suppression you want. You would like to suppress a list you have already imported into WordFly from your new email campaign. You can suppress one list from any email campaign! When you apply a suppression list to your email campaign, all the addresses in the suppression list that overlap in the list assigned to the email campaign will be withheld/removed from the email deployment. Only one list can be suppressed using this option. 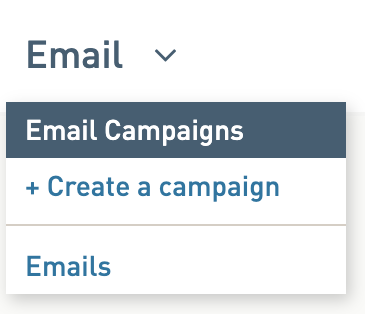 You can add additional segmentation to your list by clicking on the More List Actions menu from the list summary page and then selecting Segment Your List. When the suppression list is applied, the list total will not update. The subscribers will be suppressed when the email is sent. You can see who was suppressed after the email sends by going to Reporting > Export Data and selecting export type Subscribers by Campaign. 3. Click the Subscribers tab of the email campaign. 4. Import or select your Subscriber List. 5. 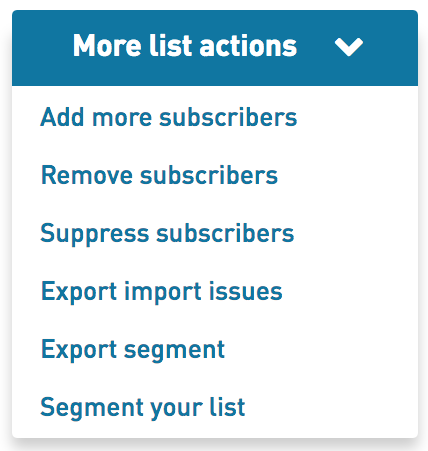 On the List Summary page, select More List Actions > Suppress Subscribers. 6. Select the list you would like to suppress from the available lists. Hover over the right side to select see the select button to click. 7. Your list suppression will be added as soon as you click the list! To remove the suppression list, click on Remove from the list summary page. You sent out an email and now you want to send a new email but suppress subscribers in the previous email. You can do this through WordFly’s segmentation feature. 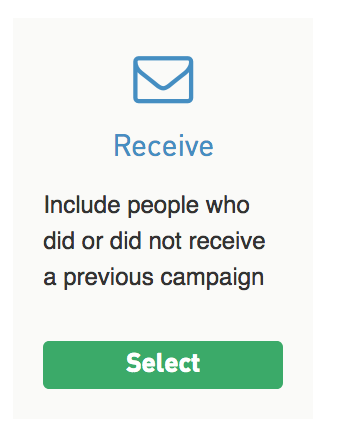 Just add an event segment and select the specific Campaign to suppress. 6. Select Add activity as the type of segment. This segment will suppress subscribers from the sent campaign. The segment basically says: Include subscribers who did not receive the previous campaign. 8. Select the Campaign you would like to suppress. 9. Then select Add to segment. 10. Select Apply to list. 11. Watch your list segment count update to exclude subscribers from your previously sent to list. You can see who is in your segment after applying it by selecting More List Actions > Export Segment.